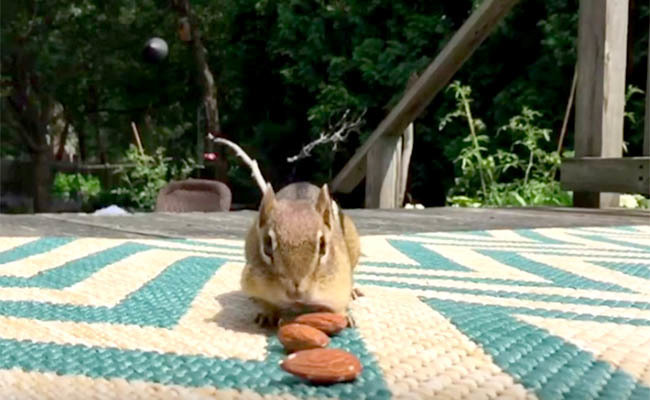 Care2 Healthy Living | Daily Cute: How Many Almonds Can One Chipmunk Eat? Daily Cute: How Many Almonds Can One Chipmunk Eat? The woman who took this video has been watching this chipmunk stuff almonds into his face for a full year. She says she’s discovered the Chipmunk Cheeks Upper Limit. I've seen a chipmunk only once in my life about 5 years back.